Buying a new hair dryer. A hairdryer can be lots of things but most of all it has to do the job quickly and make drying your hair a pleasure. What should you be looking for when you choose a new hairdryer? I need a hairdryer that gets the job done with a minimum of fuss and sits comfortably in my hand when I use it. I personally prefer a hairdryer that is balanced and lightweight. It needs to have a reasonably powerful motor and it needs a variety of heat and air speed settings. Important – It should have a cold shot function. (more later) It needs to have the switches in a position that means I don’t keep catching them and switching heat and speed settings. 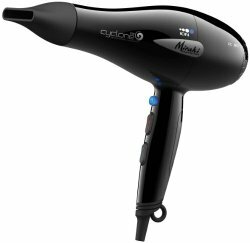 The Miraki Cyclone is a powerful dryer with a nice comfortable grip and good front grip mounted controls. Its a reasonably light hairdryer, not as light as the Parlux lightweight but not as heavy as the GHD . 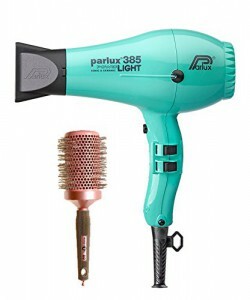 The Parlux lightweight is a powerful extra lightweight hair dryer its a professionals choice as a salon use dryer due to its feather like weight. It comes in a variety of nice colours with a couple of nozzles to direct airflow included. One long one stubby for control. The dryer is well balanced with controls easily accessible on the side. I personally find these a bit confusing and the slow airflow combined with medium heat is still a little too hot for my liking. This is a small negative point as offset because the cold shot is not far away in response time to the Miraki dryer previously reviewed. The GHD hairdryer is quite a heavy hairdryer ! However It is robust and nicely designed with good airflow and easy controls. The controls are recessed switches that give good control ratio of heat at low airflow or at fast blow for quick drying. Its not too noisy either. The coldshot is pretty responsive getting to cold quite quickly. Its a pretty expensive dryer which will sell based on customer loyalty to the straighteners GHD do. ← Previous Previous post: Grey Hair or not Grey Hair? Next → Next post: Scalp and skin problems like Eczema and Dandruff? this was super helpful. I’m trying to think of gift ideas for my wife and she’s always complaining about her hair dryer. But I have 0 expertise or opinion when it come to hair care products. Would she like this one? 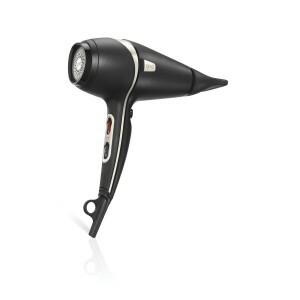 what is the most attractive reason you like this hair dryer?